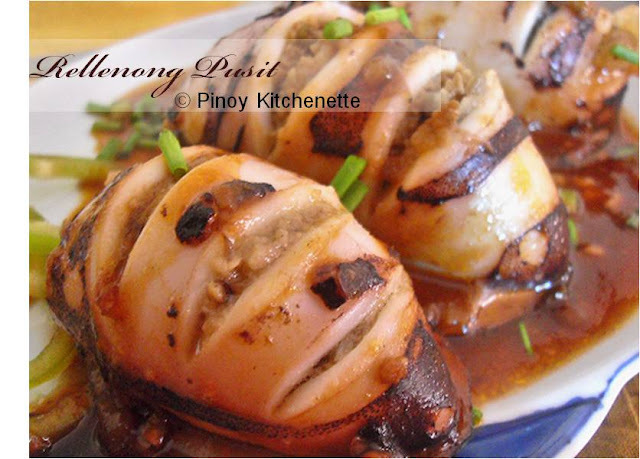 This is a dish which is very easy to prepare. Another way to enjoy the protein-rich low-calorie tofu. Vegetarians would love this. Enjoy! > Mix together flour,bread crumbs and ginisa mix. 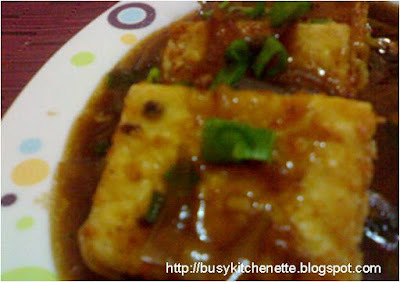 Roll each tofu block into the mixture, then fry until golden brown. Set aside. >For the sauce, saute onions and garlic in oil. Add water, oyster sauce, soy sauce,brown sugar, ground pepper. Simmer for 2 minutes over low heat. Add the dissolved cornstarch and onion leeks.Stir. When done, pour the sauce over the tofu. Serves 3-4 persons. Enjoy!